The advent of Spring heralds not only weather changes and a reawakening of nature but also the call to put in place a good study regimen in order to be well prepared for year-end exams for both scholars and tertiary students. Here are our tips to ensure that both the study phase and the exam writing yield optimum results. Gently encourage and be available to assist in as calm a manner as possible. Create a harmonious and peaceful environment for the student. Ensure that the student doesn’t go into panic mode especially when the exams are imminent. Ensure a good supply of quality water to hydrate the student and prevent headaches. Herbal teas or infusions are also good eg. Camomile tea is calming and helps to promote good sleep. 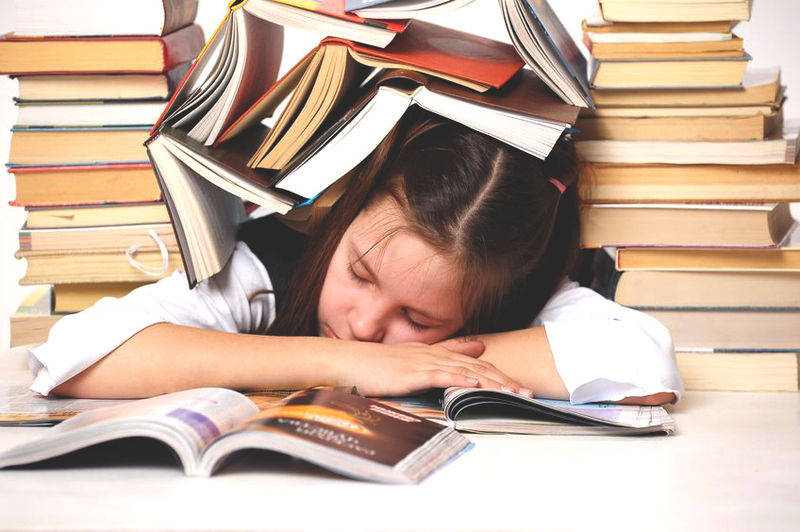 Ensure that the student gets sufficient sleep to allow the body to rest and repair to be energised for the intensity of the study periods and exam writing. Provide nourishing whole natural foods at meal times with lots of natural fibre (mostly veggies) to ensure that the student’s bowel is functioning optimally, thus eliminating toxins and ensuring that food is properly absorbed by the gut. Smoothies are good as they have the fibre as well – it’s a good idea to have a smoothie for breakfast. Freshly extracted veggie juices feed the body deeply. Make sure that the juices have greens in them. This provides loads of chlorophyll thereby delivering much needed oxygen for all cellular processes to occur efficiently. Serving a juice with lunch works well. Alternatively, a veggie juice can be sipped during study periods. Suggestion: add lemon and or ginger to fresh veggie juices to cut through the “green” taste, and apple to add sweetness. Create rainbow salads containing a variety of greens and other veggies. Serve with fermented vegetables (like sauerkraut or kimchi) to boost the friendly gut bacteria. We like to use Kombucha vinegar as a dressing. It’s tangy and adds a touch of sweetness as well. Refer to our blog post on 31 March on Building the Perfect Salad. To keep the brain deeply nourished it’s imperative to have good fats like avocado (in salads) and coconut oil (in smoothies). Soups are wonderful as all the nutrients can be retained during the cooking process. Try to use a low temperature to retain the integrity of the ingredients. Avoid overfeeding. A good rule of thumb is that a meal should be approximately the size of three of the student’s handfuls. Encourage healthy study breaks - sitting on a veranda without lenses, or walking barefoot on lawn. Play calming music. During longer breaks encourage exercise like a walk or a run, or doing some yoga or stretching exercises. This oxygenates the lungs, and also relieves eye tension by changing the focal point. Try to provide an early dinner around 6pm if possible (or before dark). This gives the digestive system a chance to complete its process before the student goes to bed, thereby allowing the body to deeply rest and repair itself during the night. The student then wakens the next morning feeling well-rested and energised to take on the next day. Start with a fruit base: one quarter of a papaya (excellent for digestion - add a couple of the black seeds), ripe banana (nutrient rich), a quarter cup of dried goji berries (super-food). Add some nuts or seeds: preferably a few brazil nuts or almonds, and hemp seeds (1 tablespoon) are highly nutritious. Now make a herbal tea infusion with your choice of the following herbs: dandelion, nettle, horsetail, chaga, buchu. I like to add honey to my tea. Add the warm tea to the blended ingredients and blend until smooth. Pour into a bowl and leave the mixture to stand for 5 minutes so that the chia seeds can swell and thicken the smoothie. Top your bowl with colourful berries especially blueberries. Slowly cook all the ingredients for an hour, adding water as necessary to achieve a soup like consistency. Remove soup from the heat and add a teaspoon of basil pesto and 2 tablespoons of Napoli sauce. This soup freezes well.